A couple of weeks ago we visited Laura in her hometown of Waverly,TN for her bridal portraits. 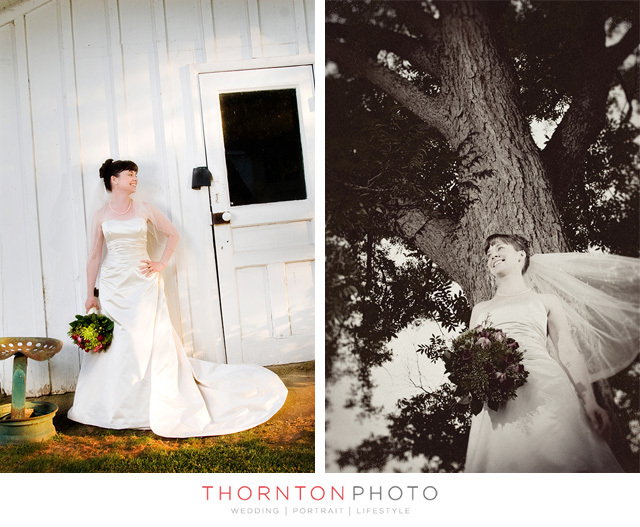 We started at her grandmother’s house and grabbed a few shots in front of an old oak tree she played under as a child. Then we moved over to a really cool old shed her grandfather built. Once finished at the house we headed down to the Humphreys County Museum & Civil War Fort . This place was full of interesting Civil War antiques and was very cool (you’ll see more when we post their wedding shots.) Laura, as you can see has a knock out smile and such a great personality to go along with it! We had a lot of fun snapping the photos and swatting at mosquitoes! Seim Effects - Nice job! I really the the bottom left. They have a happy bright feel to them.